Blend all of the ingredients in a food processor (except the chocolate chips) until very smooth. Now, add in your mix-ins, like the chocolate chips. Serve. You can keep this in the fridge for a few days. Even if you don’t serve it with cookies or fruit, you can eat this right up with a spoon – like I did one day at my desk. It didn’t even make me feel that guilty! 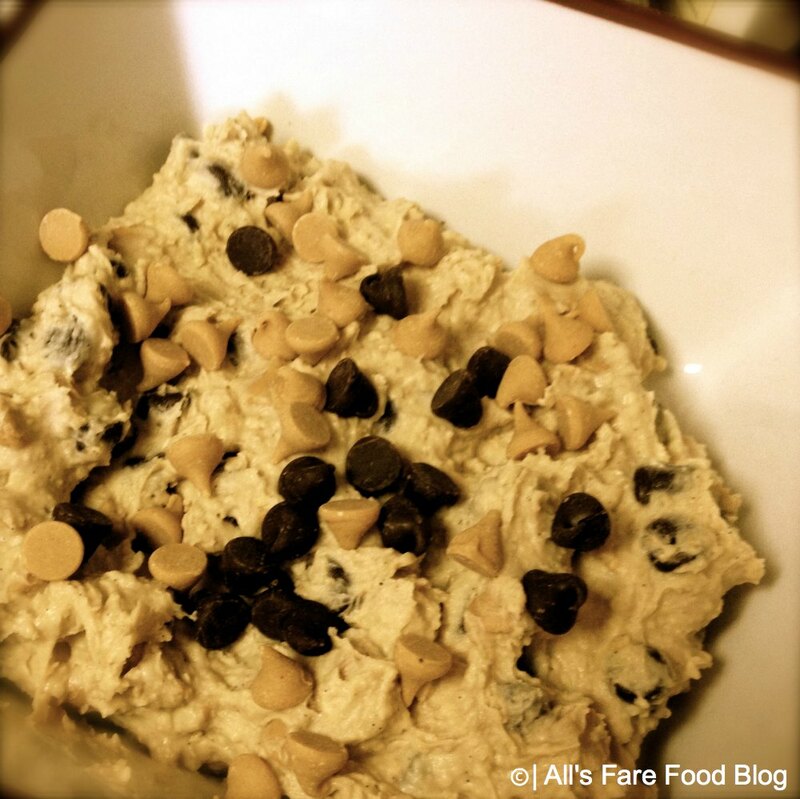 This entry was posted in Cuisine - Desserts, Health and Diseases, Recipes and tagged chocolate, cookie dough, dairy-free, gluten-free, potluck, recipes, soy-free, spread by Christina. Bookmark the permalink. I am a physical therapist and a mom of 3. Two of my children have celiac disease so I am very knowledgable about GF and the medical benefits of living a GF lifestyle. I have had dozens of fibromyalgia patients who receive positive results from going GF. My advice is to keep a daily food log to track your FM symptoms in relation to the food you do eat. this way you will be able to see a pattern over time. Most of the medical community will state to keep track for 10 days. I do not feel this is an adequate amount of time to evaluate your symptoms. I would suggest keeping a daily log for at least 4-6 weeks. Thank you for your thoughts Julie. I’ve been keeping a food diary for about two months now since I started having the GI symptoms. But my specialist says I have the all clear from a gluten sensitivity. However, I’m open to any alternative treatments for my fibro and migraine symptoms that will help decrease my needs in medications.